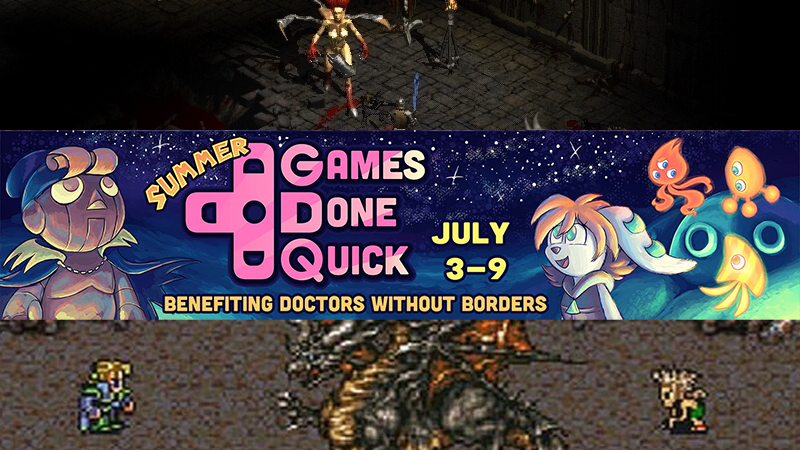 The seven-day Summer Games Done Quick charity speedrun marathon comes to a close today, but not before runs of Diablo II, Final Fantasy VI, Super Metroid and Super Mario RPG are finished. Several great games remain to be run in Summer Games Done Quick, which has so far raised nearly $800,000 for Doctors Without Borders. Can they make it to a million before the event ends? Probably not, but they’ll have a good time trying. This post should be just in time for the beginning of the Diablo II run. Here’s is what remains to be played. Check out the YouTube archives to catch any runs you might have missed, or scroll down to watch the final day of action live.